"Trend-setting technologies and strategies for tubes and pipes"
Tube & Steel will be held in Istanbul, Turkey. Organised by: Tüyap Fairs and Exhibitions Organization Inc. Pipe & Tube Memphis will be held in Memphis, USA. Tube Russia will be held in Moscow, Russia. 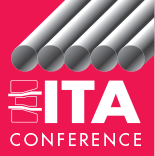 Organised by International Tube Association e. V.
Valve World Americas will be held in Houston, USA. Tube Southeast Asia will be held in Bangkok, Thailand. Tubotech 2019 will be held in Sao Paulo, Brasil. Fabtech will be held in Chicago, USA. Tube Düsseldorf will be held in Düsseldorf, Germany. Students Day will be held in connection with Tube Düsseldorf. Tube China 2020 will be held in Shanghai, P. R. China. As in previous years the latest edition of BORU will take place in the conveniently situated Expo Center, close to the international airport, in an area well provisioned with a range of hotels to suit all budgets. The latest technologies of tube and pipe machinery and manufacturing, tools and equipment for the industry, OCTG and Pipeline Technology (New Section); process technology tools, raw materials and accessories for all kinds of tubes and pipes will be presented in this exhibition. Industry professionals from Europe, Middle East, Asia, Africa and traders from all around the world will come together for the opportunity to develop new and existing business relationships and export opportunities in region’s dynamic market. The growth rate of the Turkish economy was 8.5% in 2011. This was the second highest rate in the world. While many economies have been unable to recover from the recent global financial recession, the Turkish economy expanded by 9.2% in 2010, and 8.5% in 2011, thus standing out as the fastest growing economy in Europe, and one of the fastest growing economies in the world. When the commodities in the exhibit profile of BORU Fair are analysed in the light of above information, the increase in imports is 14% and increase in export is 10% in comparison with 2010. By visiting the www.borufair.com/foreign-trade-statistics page, more information can be found. At Boru 2011 there were 165 exhibitors from 19 countries: China, Egypt, Germany, India, Iran, Italy, Korea, Netherlands, Norway, Romania, Russia, Spain, Switzerland, Syria, Taiwan, Turkey, UAE, UK,and Ukraine. As in previous editions BORU is fully supported by the International Tube Association and there are very special exhibitor packages available from Ihlas Fuar for members only provided they are booked before 30 September.